For many gardeners, the growing season doesn’t begin or end with warm weather. In this article I’ll share tips for using a cold frame successfully. In addition, I’ll share resources for other structures, like the greenhouse, hoop house, and polytunnel. All of these structures allow you to extend the season into fall and winter, or get a jump on spring. A cold frame is an unheated, temporary, small greenhouse that sits on top of existing garden beds. It’s an affordable alternative to a permanent greenhouse for extending the harvest. It can help insulate cold-hardy vegetables against a killing frost. The most notable feature of this structure is the front “face” that should be angled toward the sun (south in the northern hemisphere). There are a few cold frames on the market, and there are also lots of DIY models. In 2010, we received a 3′ x 6′ cold frame from Gardner’s Supply Company as a Christmas gift. We were excited—one less thing to build! This model protects crops down to 24 degrees, and will protect them even farther when the crops are mulched well and covered with row cover. Our prefabricated cold frame has withstood the test of time, and is easily disassembled for storage when not in use. I highly recommend it, but unfortunately, the Gardeners’ Supply website indicates this model is no longer for sale. 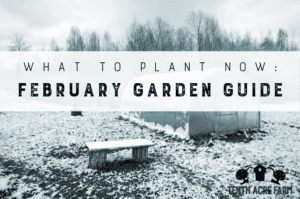 So what’s a winter gardener to do? I checked out the current model being offered by Gardener’s Supply Company: the Cedar Cold Frame. I’m afraid I’m not very impressed. It’s a visually appealing design—I mean, who doesn’t like cedar? However, the size is a little odd – 2′ x 8′. In addition, it doesn’t appear to fold for storage, so this model might present a problem when not in use. And finally, the price is set at a steep $225. If you’re short on time or building skills, but have the cash, this new model might be worth the investment. Alternatively, you can build your own. The best trait of a cold frame is its temporary nature, and its ability to be stored or repurposed when not in use. Erica at MomPrepares created a cold frame that is so easy and inexpensive, anyone can do it! Here’s how she built a cold frame using straw bales, an existing raised bed, and used windows. The MomPrepares.com straw bale cold frame. Be sure to tack down your structure so that the winter wind doesn’t whisk it away. My cold frame cover is made out of polyethylene greenhouse fabric, and is weighted down on all sides with heavy rocks and bricks. The plywood ends of Erica’s straw bale structure above are screwed into the raised bed ends. If a storm was coming, I might look for a way to secure the windows or weigh them down as an additional precaution. OPEN the cold frame when the INTERIOR temperature rises to 32 degrees. CLOSE the cold frame when the INTERIOR temperature drops below 32 degrees. Excess moisture can encourage soil-borne fungal diseases that kill seedlings, so ventilation is important. The straw bale cold frame mentioned above provides a breathable environment and will likely be good for ventilation. Cold frames with a synthetic cover like mine above usually have “windows” that can be tied or propped open when temperatures rise above 32 degrees. Or consider an automatic vent opener, which opens the door when temperatures rise above 55 degrees, as a fail-safe in case you forget or go out of town. When temperatures drop below 20 degrees, additional protection inside the cold frame will be necessary to protect your winter crops. As I mentioned above, I like a combination of shredded leaf mulch and row cover. Vinegar jugs with the bottoms cut off make inexpensive cloches to insulate crops from the cold. *Don’t forget to remove additional covers when temperatures rise above 20 degrees! Experiment with sowing crops inside the cold frame in December. You never know, you might get lucky! Try spinach, Swiss chard (try Fordhook Giant variety), carrots (try Scarlet Nantes variety), and Asian greens. There are a few other types of structures that can provide protection for winter crops. A hoop house is a temporary structure that can be built over existing garden beds. It’s like a cold frame, just a different shape. It can usually accommodate taller plants than a cold frame. Lady Lee’s Home demonstrates how to build a hoop house. A polytunnel is a portable greenhouse that you can walk into. Check out the polytunnel at The 104 Homestead. A geodome greenhouse is a another take on a walk-in greenhouse that can withstand the weight of heavy snows, though it’s a more permanent structure. Check out the geodome greenhouse at the Northern Homestead. Would you like to learn more about using cold frames to start crops in the spring or extend your growing season into fall and winter? You’ll find more information about this topic in my book, The Suburban Micro-Farm. How do you extend your harvest season? I’m so glad I came across this article! My dad always used a cold frame every winter. I have yet to try one out. I’ve been trying to talk my husband into building me one—and I plan to show him your article. I think it will inspire him! Thank you!